Virtually every business leader appreciates the central role that modern technology plays in the corporate environment. After all, there’s little chance of staying relevant and competitive in today’s fast-evolving market if you don’t have the right blend of technology on your side. On the other hand, technology can end up working against you, particularly if you don’t have a dedicated IT department to choose, implement and maintain the right systems and align technology with your operational goals. According to Forbes, a whopping 84% of digital transformation strategies fail. Most of the time, this comes down to a serious disconnect between an individual or B2B company you’ve hired to perform a specific task and the rest of your company. Typically, their inability, as a one-off hire, to be immersed in the company vision and day-to-day strategy is a non-starter for achieving what’s best for your business. Enter the age of the managed services provider (MSP), a type of company that intends to bridge that gap. 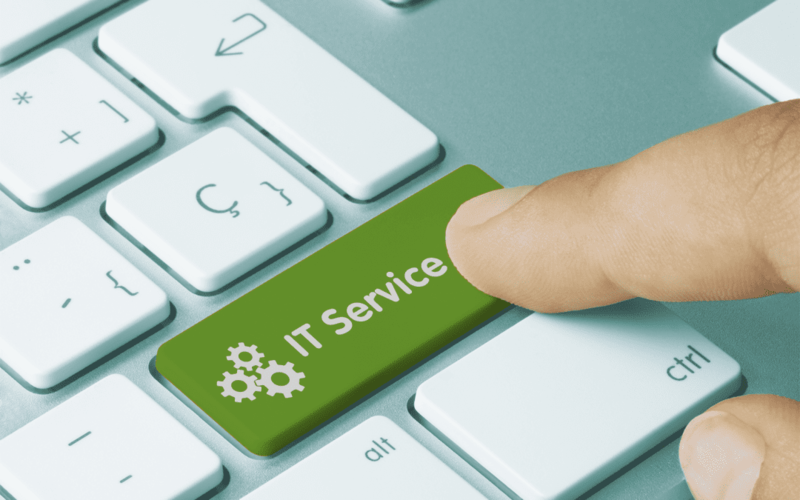 MSPs provide tailored IT services to small- and medium-sized businesses that likely can’t afford to maintain their own in-house IT departments. They offer technology as a service, typically through the cloud, which also enhances security and accessibility, and ensures that everything is always up to date. In other words, an MSP serves as your outsourced IT department, but at a fraction of the price. To sum it up, your business can afford Proactive IT Management & Modern Cybersecurity and, quite frankly, your critical data, business operations, and workflows can’t afford not to have it. There are few quicker ways to crush motivation and productivity than by ending up in a situation where employees are wasting their time doing tasks irrelevant to their job descriptions. If, for example, customer service staff are spending more time fixing trivial IT problems and finding workarounds to annoying usability issues than serving your customers, customer satisfaction is going to take a hit. Employees should be doing what you’re paying them to do – not wasting time on peripheral things like technology, which should empower, rather than hinder them. If this situation sounds familiar, then the proactive support that an MSP offers may be just the solution you’re looking for. So, you’ve gotten by with your current IT systems for years. Perhaps your staff have become accustomed to them as well, even if they have issues more often than you’d like. However, outdated technology is the greatest enemy of a growing business. Not only is it a security risk in today’s modern age of threats, but older technology can also fail to keep up with the growing need for resources, speed, and adaptability users come to expect these days. If your systems are having difficulty keeping up, then it’s time to adopt a scalable infrastructure that grows with your business or, if necessary, allows you to scale back during quieter periods. By working with an MSP that offers scalable cloud services, cost efficiency will be vastly improved. Moreover, many cloud infrastructures provide robust integrations with existing systems so that your staff don’t need to be retrained to use a completely new set of applications. Are employees still living their working lives chained to the office desk from nine till five every day? Thanks to the influence of changing consumer habits on the workplace and modern technology, companies are now able enjoy unprecedented flexibility and mobility. An MSP like Terra Nova can move your workloads to the cloud and give employees access to the systems and information they need for work no matter where they are and which device they’re using. That means they’ll be able to work from home or simply get a head-start on the day’s work during the commute. Furthermore, there are few better ways to motivate staff and improve employee satisfaction. Clients entrust you with their confidential data, so you can hardly afford to let security take a back seat. Small- and medium-sized-business owners are some of hackers’ favorite targets because they often lack the same security controls their enterprise counterparts have, but still control high-value information and data. For the sake of compliance and security, you need a robust, enterprise-grade infrastructure – the sort that usually only the biggest businesses can afford. Fortunately, MSPs have reached an economy of scale that allows them to offer a similar level of quality and service to far smaller organizations, too. At Terra Nova, we believe technology should empower your business instead of ruling over everything it does. That’s why we take care of your computing needs so you can get back to what you do best – running your business! Start growing your business’s technology solutions today.